Last weekend, I went to a backyard barter. One of the things I came home with was a jar of plums. Tonight, I used them to make a gluten-free cobbler for our dessert. Preheat oven to 350°F. 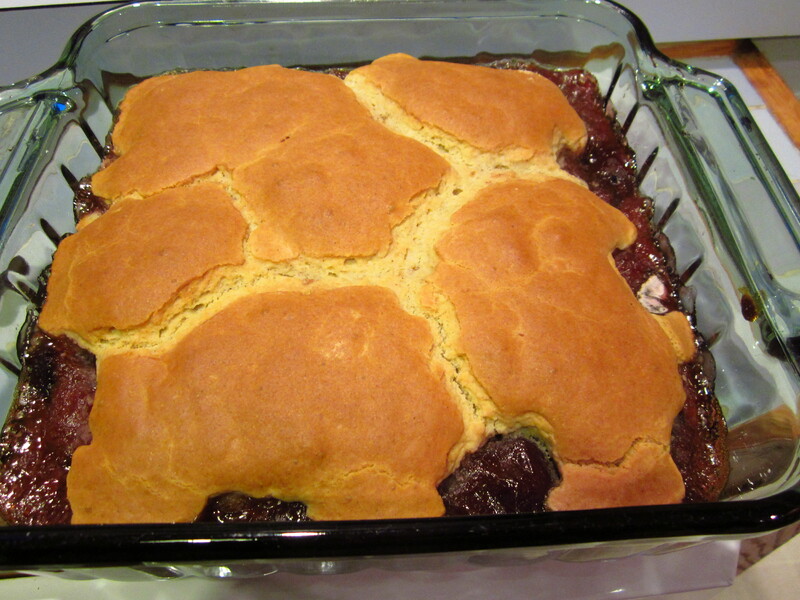 Mix the sugar, plums (drained), corn starch and cinnamon in a bowl, then pour it into a square baking dish. Now mix the gluten-free flour, baking powder, salt, butter substitute, almond milk and egg (or substitute) together in another bowl. Spool mixture on top of plums. Bake for 35 minutes. Allow to cool for about 15 minutes before serving.